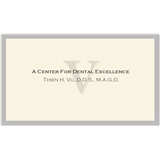 A Center For Dental Excellence (San Jose) - Book Appointment Online! We are a small private practice offering advanced comprehensive dental care for the whole family. We welcome patients as young as one year old and up. Our offices offer a wide range of affordable dental care, from simple fillings to complicated bone augmentation surgeries, cosmetic dentistry, full mouth rehabilitation, implants, sedation, root canals, orthodontics, root canals, extractions, etc. We are committed to providing the highest standard of care and delivering all your dental needs under one roof. We are also committed to going above and beyond with dental education to remain in the forefront of modern dentistry, while providing personalized attention to all our patients.